Are you ready to track Gnaraloo's sea turtles? Sea turtles are often thought of as majestic and serene and without a care in the world, but their numbers are dwindling around the world. To safeguard sea turtles who call WA home the Gnaraloo Turtle Conservation Program are preparing to tag as many turtles as possible to better understand their behaviour and to keep them safe. When you think of sea turtles, what is the image that comes to mind? I picture these living dinosaurs swimming gracefully throughout the ocean, gliding over coral heads without a care in the world. Because of this, it's difficult to imagine that most sea turtles are currently fighting a battle against extinction. Sea turtles are of global conservation concern. This is due to the fact that the majority of populations have been reduced to a fraction of their former size, having been exposed to numerous threats throughout all stages of their complex and long life-cycle. 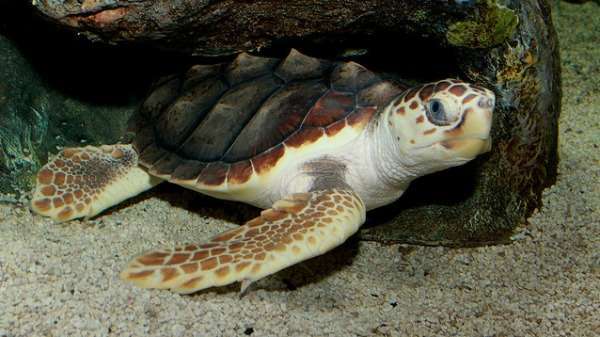 Threats to sea turtles include incidental capture in fisheries, habitat loss, marine pollution, predation and overexploitation, which continue to reduce turtle numbers annually in many regions. In other regions, such as the southeast Indian Ocean, there is still a lack of information available to assess how turtle populations are doing. To effectively conserve and manage sea turtle stocks, it is fundamental that we have the ability to accurately estimate their abundance, as well as determine their movements and distribution. Satellite tracking is an important means of doing this, and tagging studies are constantly providing new and valuable insight into the long-term movements of sea turtles and other elusive marine animals. 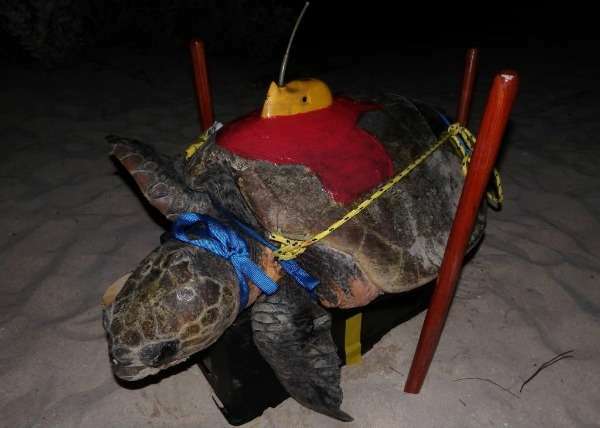 Over the last three decades, scientists have been attaching satellite tracking devices onto individual sea turtles to accurately and remotely track their migration over hundreds of kilometres for many months, even up to multiple years. The sea turtles who frequent Gnaraloo near Carnarvon, will become part of this important line of study. Gnaraloo, a working pastoral station located on the southern end of the World Heritage listed Ningaloo Reef, contains two known significant sea turtle rookeries along its 65km coastline. 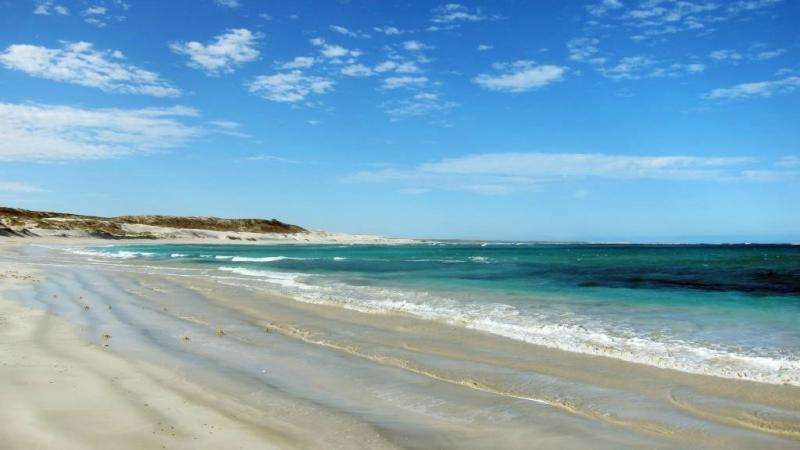 The primary nesting species at Gnaraloo is the endangered loggerhead turtle (Caretta caretta), and the beaches in this region comprise the largest confirmed mainland rookery for this species in WA. The Gnaraloo Turtle Conservation Program (GTCP), a sea turtle monitoring program that was established in 2008, is working in collaboration with Aub Strydom (University of Queensland) to attach satellite trackers onto 10 adult female loggerhead turtles to track their movements. By doing this, we will begin to understand their migratory patterns, as well as to identify their interesting habitats such as the area adjacent to the nesting beach where females go to develop their eggs and foraging areas that are linked to Gnaraloo's rookeries. Satellite tagging sea turtles can also give an indication of how frequently females come ashore to nest in a given season, which can be used to estimate the abundance of loggerheads nesting at Gnaraloo. The information we obtain from this research will fill a major knowledge gap for loggerhead turtles in this part of WA—a significant step in the long-term conservation of the southeast Indian Ocean loggerhead turtle population.